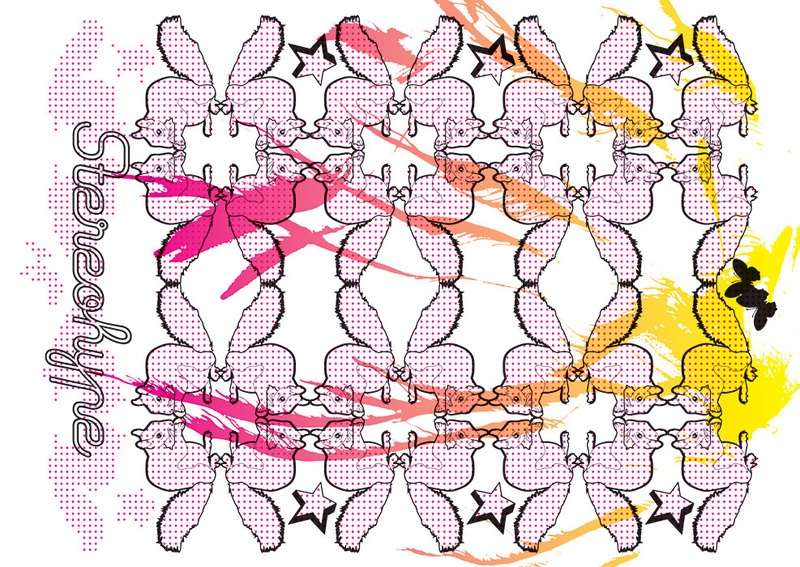 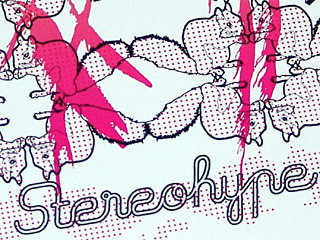 This was the first FL@33 / Stereohype postcard set and included a card featuring the 2004 version of the now classic Stereohype squirrel motif (see versions from 2006 and 2010 here). 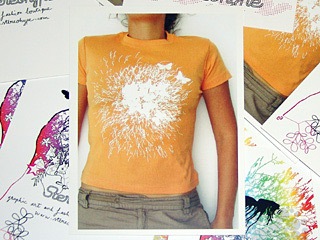 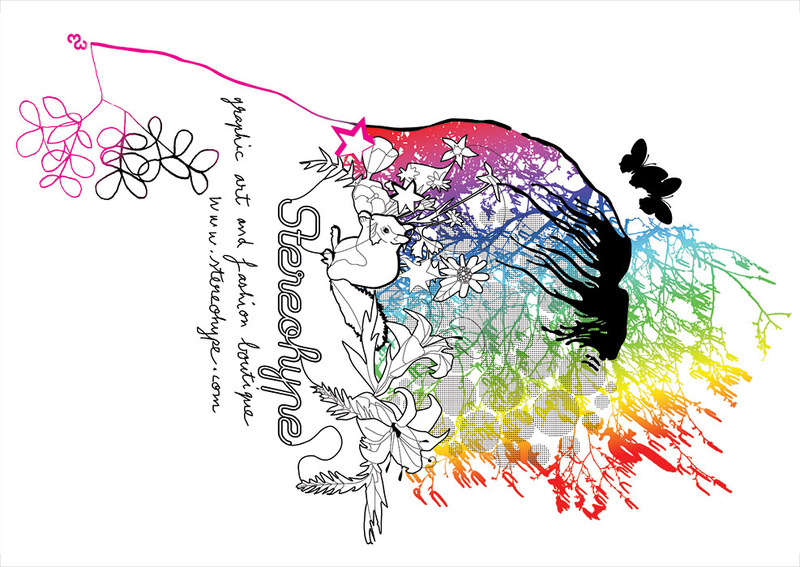 ___ The FL@33-designed Butterflies in my Stomach T-shirt was one of Stereohype's first best-sellers and was printed in three colourways – orange, navy blue and pink. 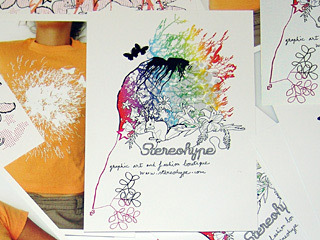 A promo card was only printed showing the orange version. 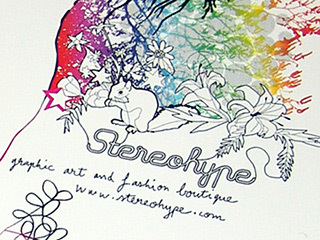 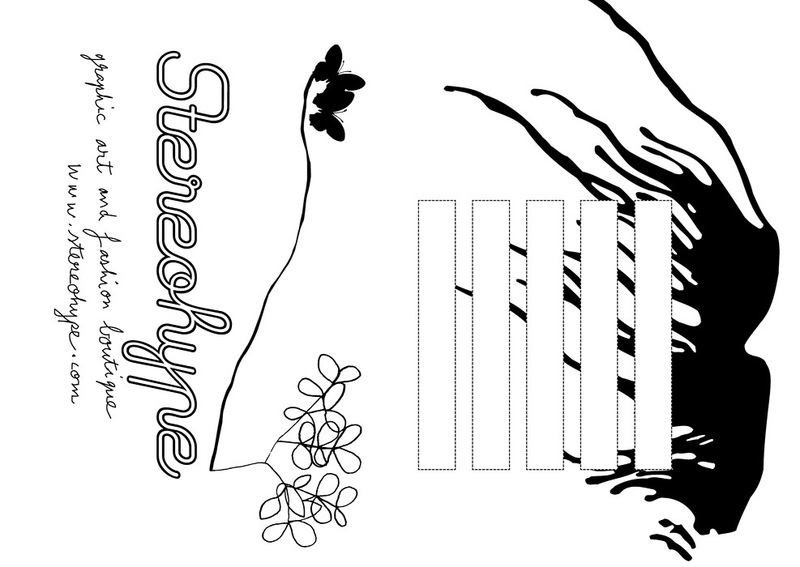 ___ The squirrel pattern card was added to Stereohype's range to attach one ore more separate badges for its international customers. 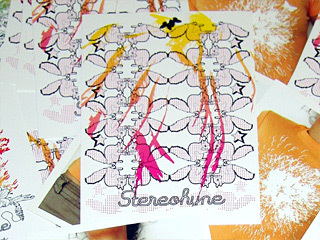 ___The postcards were printed in October 2004 in a limited edition of 1,000 (Butterflies in my Stomach and Stereohype's squirrel pattern) and 2,000 respectively (Stereohype squirrel motif – 1,000 of them featured a black star at the top right corner of the back while the other 1,000 didn't have one).